If they continue their current form, they are all set to become a formidable opening combination in World cricket. The batting depth hasn’t been really put to the test yet, but with Irfan Pathan and Praveen Kumar, both all rounders coming in at No. 8 and 9 respectively, it looks very strong. Chawla at No. 10 is no rabbit with the bat either. When you see good players warming the bench, you know there are even better players in the playing XI and that is a great thing. With guys like Uthappa, RP Singh (although Ishant was rested for the Bangladesh game) and Gony sitting out, you know the team is doing well. And guys like Ganguly, Tendulkar, Dravid, Sreesanth and Harbhajan Singh aren’t even the team (due to a variety of reasons). The team now has Praveen Kumar and Irfan Pathan who are what I would classify as bowling all rounders – people who can bat a bit and bowl their full quota of 10 overs. 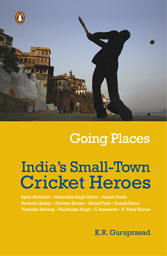 Then there are the batting all rounders – Sehwag, Yuvraj and Yusuf Pathan. Even Rohit Sharma and Raina can chip in with a few overs. And last but not the least, the captain – MS Dhoni who can bat and keep wickets. This is one of the main reasons, India has a good batting depth at the moment. I think the current batting order is a fairly flexible one. Barring the opening pair, I think the rest can come in any order. There is always the argument that batting orders shouldn’t be messed around with, but it seems to work well in Twenty20 and I don’t see why it shouldn’t work here. Sehwag at 29 years is the oldest member of the team. Everyone else is 26 or under. In fact, six of them are 21 and under. This again bodes well for Team India. Isn’t it wonderful that although the team is young, it does not seem to lack experience. Should Dhoni give up his gloves? Should Dhoni give up his gloves – at least in the ODI format? Dhoni is such an important batsman for India and his batting in the last few one day games has been so matured – he has curbed his natural attacking instinct and played very very sensibly. His scores in the tri-nation tournament has been – 37, 88*, 17*, 31, 37 and 50*. May not sound like a lot, but he rescued India against SL in the rain affected game, played a supporting role with Rohit Sharma against Australia and if he had not been run out against Australia, India could have well won the game. He proved his worth again today with another measured innings that basically won the game for India after they messed up the run chase yet another time. Who would have thought that someone like Dhoni can score a fifty without a single boundary! Now, a bit about the game. India got the team right, I think. Bringing in Praveen Kumar instead of Sreesanth was a good move. Sreesanth is a strike bowler, and a better bowler than Praveen Kumar. But Kumar brings in his batting into the equation and without Sehwag, the extra depth in the batting is always a good thing. It is another thing that Kumar didn’t do much with the bat today. Having said that, I am sure India will bring Sreesanth back for other games in the tournament. The five bowler formula works well for India and it once again kept the score to a very gettable target. The Indian batting continued to be a bit wobbly. Thankfully, Yuvraj Singh found his form and rescued the team with an excellent 76 of 70 balls, when the scoring rate was slow and India was struggling a bit. Even after Yuvraj got out, India seemed to be cruising with a very good partnership between Dhoni and Pathan. With less than 25 runs to win, Pathan went for a wild swish to lose his stump and brought Sri Lanka back into the game. In the end it was a tense finish and only a cool head from Dhoni won the game for India. Based on the current standing in the Points table (Australia 17, India 12 and Sri Lanka 6), it is very unlikely (not impossible, though) that Sri Lanka will make it to the finals. Dhoni’s batting is vital to India’s success and should we be protecting him? He has been struggling a bit with his fitness of late and after keeping wickets and captaining the team for 50 overs, he has been cramping when he is batting. We can always argue that guys like Gilchrist keep wickets and also open the innings. For SL, Sangakarra comes in at one drop and he is their best batsman (as he proved that once again today). So, why should Dhoni give up his gloves in the one day format to focus on his batting? The answer to that question is, as I said earlier – his fitness. There is always Karthik who can keep wickets and come in place of Uthappa and this does not have to be a permanent change. Once he gets fully fit again, there can be rethink of this issue. India plays a double-header in Adelaide. On Sunday 17 Feb, India takes on Australia and on Tuesday 19, India play Sri Lanka. These two games plus the Friday (Australia v Sri Lanka) game in Perth should decide the final line-up in this CB one-day series. After India lost to Sri Lanka in a rain-marred ODI in Canberra, this ODI competition has been thrown wide open. The three teams are pretty much even in terms of the leader-board. As I have said in a previous post, India’s team balance is lacking just a bit in my view. I do think that the 4-bowler policy is a flawed one. The positive for India is that they have got this far in the tournament even though Virender Sehwag, Yuvraj Singh and Robin Uthappa haven’t really done much! The form of Sachin Tendulkar, M. S. Dhoni, Rohit Sharma and Gautam Gambhir has been good and solid. 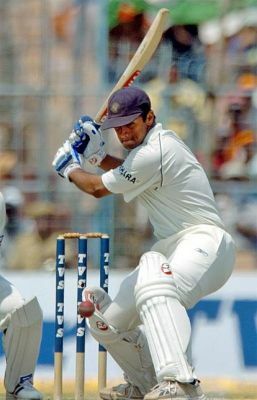 Virender Sehwag is due a few runs and so also Robin Uthappa — who hasn’t really had much of a hit in the middle. Yuvraj Singh’s form has been woeful all summer. There has been some suggestion, even on this blogsite, that Yuvraj Singh is letting the team down with his fielding too. The inside story on that one, confirmed by this report here, is that he is not fielding at his customary point/cover position because the team does not wish to risk his dodgy knee! I do feel that the best way out for him is to play with an unfettered mind. As Ian Chappell said, the worst thing that any batsman would want when he is going through a form-slump is to have to go in the middle having to build an innings with the score on 38 for 3. With that in mind, and keeping in mind the undoubted benefits of an in-form Yuvraj Singh, I do wish the team takes the opportunity of sending him 1-down, especially if the score is (say) 95-1 off 15 overs! He can then play with a freedom that a form-reversal badly needs! From the point of view of “balance”, an option would be to “rest” Robin Uthappa and take Praveen Kumar instead. However, I do not believe the team would risk such a move. So we seem to be stuck with having Uthappa batting at either #6 or #7. Either way, there are a few cracking matches coming up for the cricket fan.